His story is like a movie script built around an unexpected turn, a chance that for him was easier to seize than to explain. Maybe that's because Ernie Banks had trouble believing it even as he lived it. "My life is like a miracle," Banks said a few years ago. 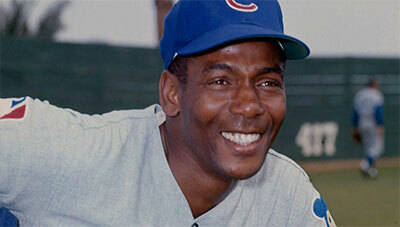 A power-hitting shortstop ahead of his time, he won back-to-back MVP awards in 1958 and '59, staking a lasting claim as arguably the greatest player in Cubs history.